Christmas and New Year was time for all of us to recharge our batteries and energize ourselves for the year ahead. The horses enjoyed their holiday and with the welcome rain and then warm weather there was plenty of grass for them to enjoy (in some cases a little too much!). Stuart will return to work early February, after his injury. Whilst it took many months for him to recover from his broken T4 and T5- He is very much itching to get back to his horses, just in time for the 2015 season. With so many talented horses on the yard we are looking forward to progressing with their training and bringing them up the grades and aiming them for some of the major three day events in Australia. The horses that Stuart is looking to compete at these events are: War Hawk, Annapurna, Pluto Mio, Queen Mary and Medusa. However a schedule for these horses will depend on qualifications at CIC events and how they progress during the season. We will keep you posted. We also have 3 lovely younger horses which we have imported from Germany, these horses will establish themselves into the world of eventing. We hope to see Gemma riding them around some show jumping shows and Karen will do some dressage. Jaymee is back at University doing her double degree, working part-time and having a very structured social life!! If she gets some time she is more than welcome to do some events to help us out ! We are looking forward to the EA High Performance clinics to help polish our techniques and also to our own clinics where both Stuart and Karen enjoy seeing their many students doing so well. Visit our Clinic page on the website. The FEI released the 2014 Event Ranking and it was great to see Stuart in 19th place and so many Australians in the top 100. Keep an eye on our face book page for all the up to date news and behind the scenes pictures plus some exciting competitions coming soon, where we join with our major sponsors to bring you great prizes! February will feature our first competition for the season. Some very sad news came to us a few weeks ago. Orchard Hill tragically died. 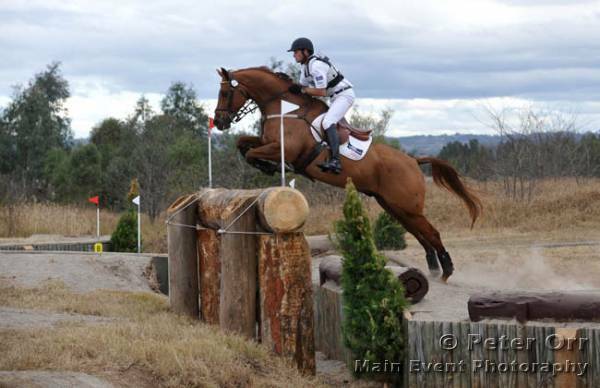 We had sold Orchard to an up and coming junior show jump rider Georgia Plain from VIC. Orchard had been ill for some weeks. It has been a huge loss for Georgia. Orchard will be dearly missed. We send our condolences to the family.